One of the amazing resources I’ve come across and have thoroughly enjoyed use of are the photo collections from BiblePlaces. Even though I have numerous photos from my own trips to Israel, I’ve just not seen a better collection of photos than those they have assembled and made available. Plus, the work of explaining the location and sorting it appropriately has already been done, so it is a win-win for me. I can use these images for teaching, or I can use them for my own study purposes to give me a contextual feel for the location. More than 10,000 images illustrating Matthew, Mark, Luke, and John with modern and historic photographs of ancient sites, museum artifacts, and cultural scenes. This collection illustrates the text verse by verse! The Photo Companion to the Bible is a unique collection of digital photographs that illustrates the biblical text verse by verse. 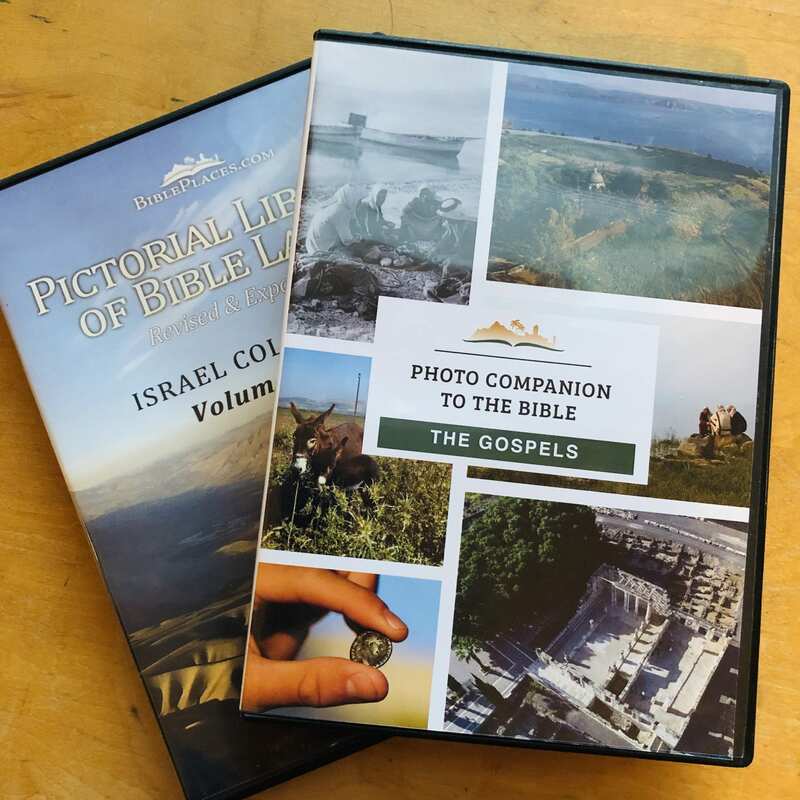 This DVD contains over 6,000 photos of sites from Galilee and the North, Samaria and the Center, Jerusalem, Judah and the Dead Sea, and Negev and the Wilderness. It’s a great way to “see” Israel for those who want images of the lands while they try to imagine a visual context in their Bible reading. Or a perfect companion to your own Israel trip photos! Individual Volumes of the Gospels: $89-99 – Sale: $79-89.